Are sound bars with smart apps the way forward? More brands are using the addition of an app to their sound bars in a bid to gain the edge over competitors and win your custom. But do these models impress us more than others? It’s becoming more common for sound bars to come with smart apps that can be downloaded to your phone, tablet and/or desktop. They’re designed to help everyone in the house make the most of the sound bar. Some new models even demand that you download the app otherwise the sound bar can’t work without it. We explore whether these apps a must-have feature or an unnecessary complication. Many sound bar apps can be used as a remote control or to set up the device. More advanced ones are compatible with different music streaming services and can keep music playlists from different apps in one place. And others can even be used as part of a smart home to control products such as your fridge or heating. However, exciting and innovative features can distract you from a sound bar’s key purpose. Any sound bar worth having should boost your TV’s speakers and provide an amazing home entertainment experience with powerful, captivating sound. Anything extra is just a bonus. In terms of sound quality, most sound bars we’ve tested with apps are average, but we’ve found a few Best Buys and a Don’t Buy to eliminate from your list of choices. 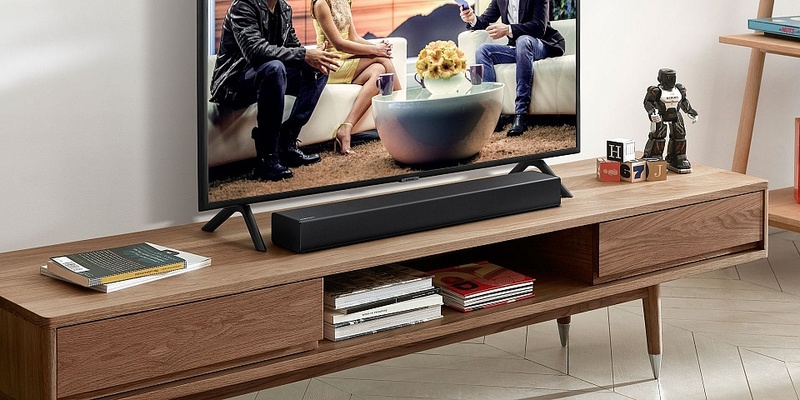 Avoid the hassle of returning your new sound bar by checking out our Best Buy sound bars. Or follow the links below to see whether these sound bars with apps have more to offer than app-less models. With the Sonos app, your favourite streaming services, internet radio stations, podcasts and audiobooks can be merged and kept in one tab. This means you can search for your favourite songs across all of your music services and files at the same time. The app lets you pick a song and choose which room (or rooms) to play it in. Friends and family can share their favourite tunes, too, since anyone in the house can stream music as long as they’ve downloaded the app to their device. The app acts as a remote for the sound bar and is also used to set it up. Sonos also promises to regularly upgrade the app to make it more personalised and tailored to your needs. But does the sound bar itself offer great performance to match? 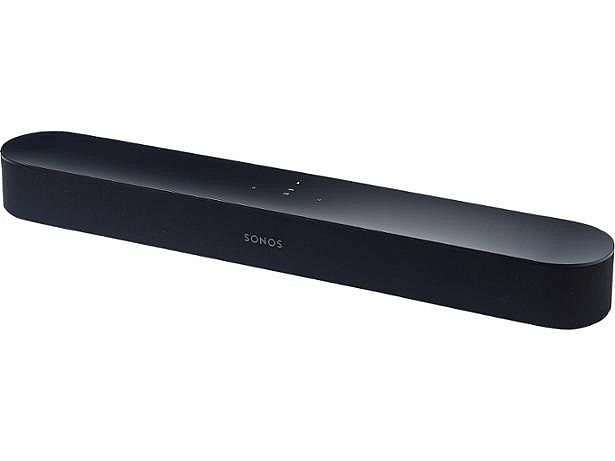 Find out if this model gets the basics right by reading our Sonos Beam review. The Polk Connect app can be connected to your wi-fi network and used to get all the latest updates, including linking your Amazon account to use Alexa voice services. The Command Bar has built-in Alexa, so it can be used as a voice assistant in the same way that you would use an Echo Dot. This means you have the choice of using the app or voice commands to control the sound bar, request information and control your smart home. You can also link Polk Connect to your Spotify app and stream music through the sound bar. This is one of the few sound bars with Alexa built-in. 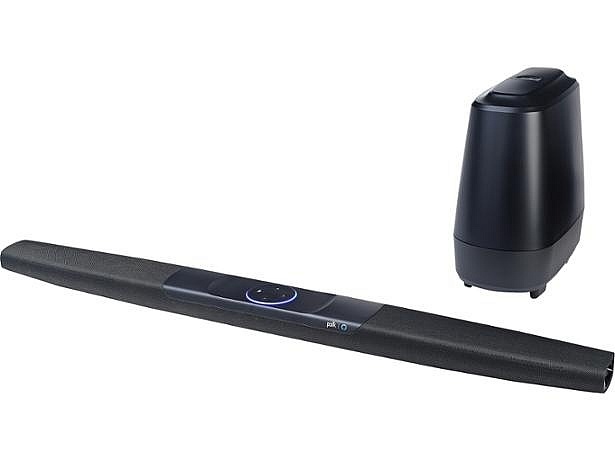 Some sound bars are compatible with Alexa, like the Samsung harman/kardon HW-N850 (below), but having Alexa built in is better because the sound bar itself will act as a voice assistant. But, useful features aside, the most important sound bar feature is audio quality. Find out whether this feature-packed sound bar has brilliant sound quality by reading our Polk Audio Command Bar review. The Samsung SmartThings app offers plenty of features, including the ability to add wireless speakers to your network and control audio throughout your home. You can also use the app to control other SmartThings products, from your washing machine to your fridge. This sound bar is compatible with Alexa and this means that if you already own an Alexa-enabled product, like an Echo Dot, you can use the Samsung SmartThings app to turn your sound bar into a voice assistant. At this price, you should expect a sound bar to be the best money can buy, with flawless sound and no need for additional speakers. However, we’ve found some shockingly bad expensive sound bars. Read our Samsung harman/kardon HW-N850 review to find out whether it’s worth every penny. 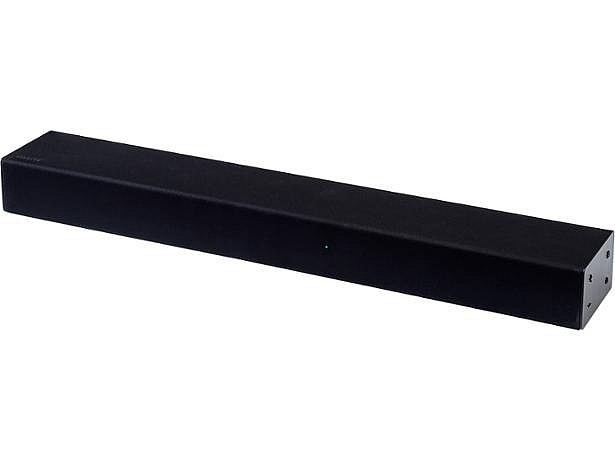 The HW-N300 is a small, simple sound bar, designed to be a compact all-in-one model. The Samsung Audio Remote app can be used as a remote to control your sound bar, which is handy if you’re prone to misplacing them or don’t want an extra device causing extra clutter on the coffee table. As this sound bar is on the cheaper end of the scale, you may be drawn to it if you’re just looking to boost your TV’s sound without spending a fortune. We’ve found excellent Best Buys in this price range, but we’ve also found a lot of models with sound that’s worse than your average TV speakers. Find out which category this model falls into by reading our Samsung HW-N300 Wireless Compact Soundbar review. The MusicCast Controller app offers lots of features and can be connected to other MusicCast devices for a multi-room audio system. So music can be shared and accessed in any room of the house, which is useful if you’re doing tasks in different rooms and don’t want to miss your favourite song. 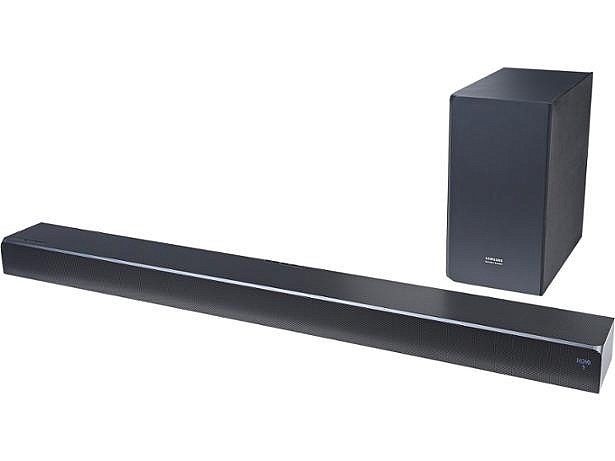 You might be tempted to get this sound bar if you already have MusicCast products, but would you be better off going for another model? Find out if we recommend it by reading our Yamaha MusicCast Bar review. Here’s another sound bar with built-in Amazon Alexa. 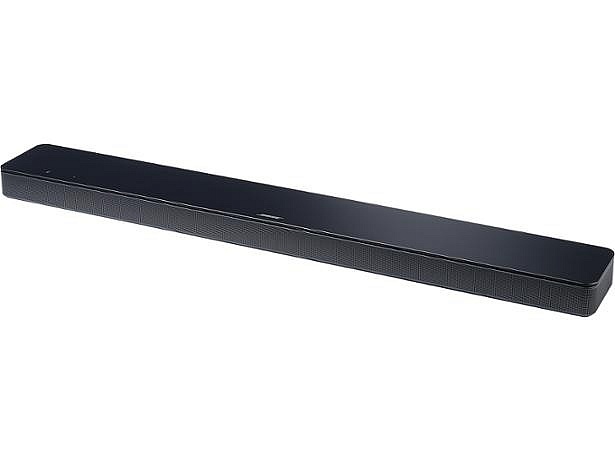 Using the Bose app isn’t optional with this sound bar as you need it to set up the device. And like most sound bar apps, it can be used as a remote to control the sound bar. This model might appeal to music lovers because the app is compatible with Apple Music, Deezer, Spotify and TuneIn radio. You can keep playlists on your smart device, along with music from these streaming services, all in one place, making it easy to jump between them. A customised music app is of little comfort if the sound quality isn’t good enough, though, so read our Bose Soundbar 500 review to find out if it’s worth buying. Here are some more sound bars we’ve tested that can be controlled using an app. Follow the links to the reviews to see how they did in our tests.